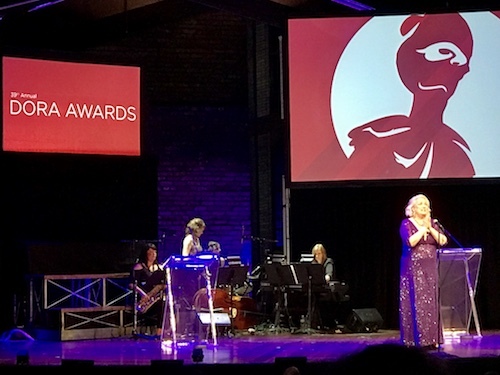 The Toronto Alliance for the Performing Arts (TAPA) presented the 39th Annual Dora Mavor Moore Awards last night at a ceremony at the Winter Garden Theatre hosted by Astrid Van Wieren, currently starring in the Broadway run of the juggernaut Canadian musical, Come From Away. 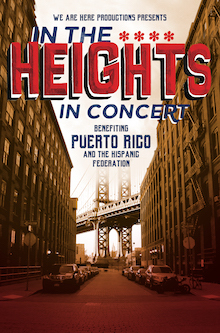 Before there was Hamilton, the phenomenally successful hip hop musical that conquered Broadway and much of the English-speaking theatre world, there was In the Heights, playwright Lin-Manuel Miranda’s musical about a Dominican-American community in New York’s Washington Heights neighbourhood. Now, a group of Toronto theatre artists is coming together to perform an in-concert version of Miranda’s seminal, semi-autobiographical show to raise funds for Puerto Rican hurricane relief via The Hispanic Federation. We asked director Matt Lacas (Corpus Dance) a few questions about the project. 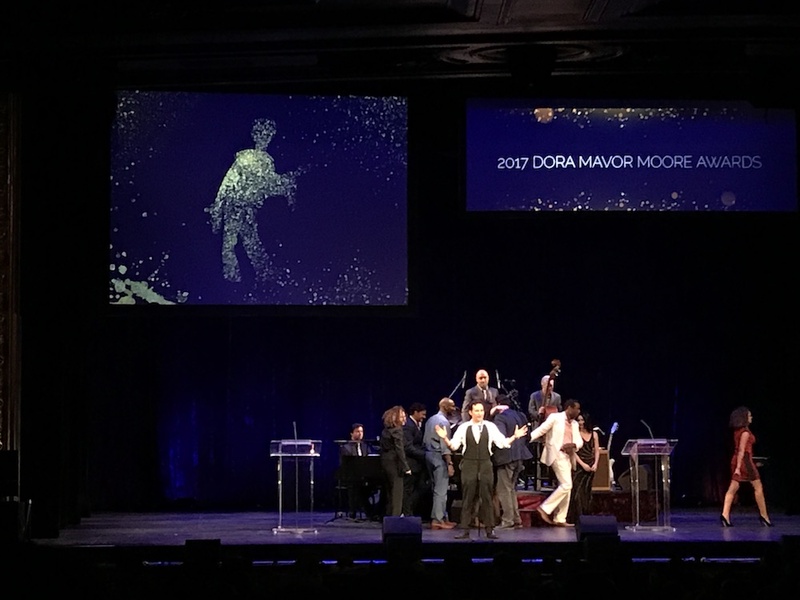 The Toronto Alliance for the Performing Arts (TAPA) presented the 38th Annual Dora Mavor Moore Awards at a ceremony hosted by prolific Toronto actor and musician Raoul Bhaneja at the Elgin Theatre last night. The 17th annual Toronto International BuskerFest for Epilepsy takes place Labour Day Weekend at Woodbine Park. Proceeds support Epilepsy Toronto, an organization that represents the approximately 4000 people in Toronto living with epilepsy. I did know this, but 1 in 100 people has epilepsy. The festival features a superb musical lineup, including Juno award-winner Adam Solomon. Music is only a fraction of the attractions the festival has to offer. Acrobats, clowns, midway rides, stilt walkers, flaming hula hoops, and mimes will all play a part in the weekends delights. The festival will also include a car show for the first time this year. 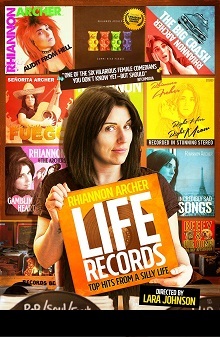 Pressgang Theatre is remounting Life Records, a one-woman-show by Rhiannon Archer from the 2015 Fringe Festival. Archer uses songs that are entwined with personal memories to explore her life experiences. 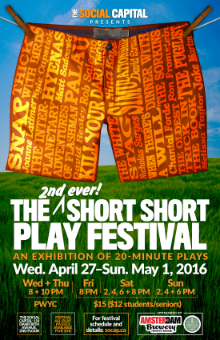 The show is both comedic and confessional, with a mix of lighthearted and horrifying stories. 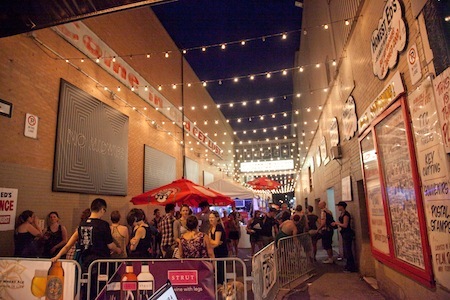 This past weekend Mooney on Theatre sent its dedicated team of 30 writers and editors to cover all 148 shows* in this year’s Toronto Fringe Festival! With the sheer number of shows available at the festival, picking the ones you want to see can be a daunting task. 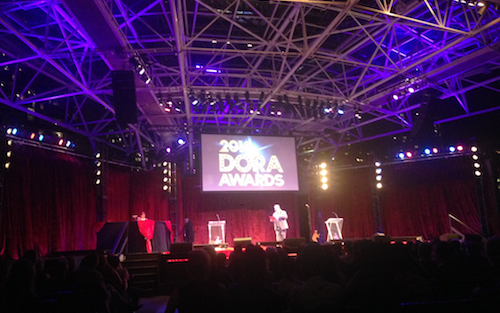 The Dora Mavor Moore Awards ceremony is the Toronto theatre community’s big night out to celebrate its own. 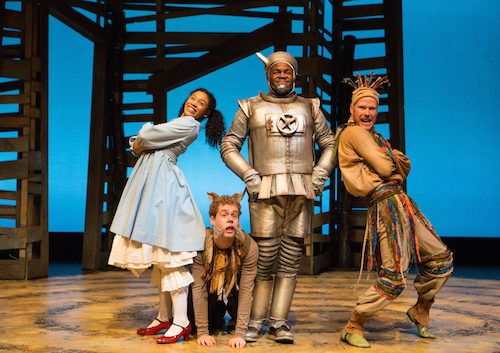 This year the ceremony was hosted by award-winning Stratford Festival and Broadway alum Bruce Dow, who kept the pace swift and the tone irreverent, interjecting just enough humour and music to keep the proceedings interesting without causing the show to drag. Mirvish is producing the Toronto premiere of Disgraced, a new play by Pakistani-American writer Ayad Akhtar that grapples with issues like politics, religion, Muslim-American identity and Islamophobia. 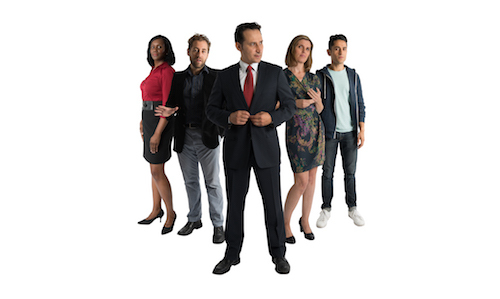 Disgraced received critical acclaim in Chicago, London, and New York, won the 2013 Pulitzer Prize for Drama and will be one of the most-produced plays in North America this season.